Nick Clegg and David Cameron are deciding this week whether to keep the Snoopers' Charter in May 8th's Queen's Speech. The Home Office are trying to force their revised internet and email monitoring plans into the speech without asking what anyone thinks about them first. In December, a Joint Committee of MPs and peers set up to scrutinise the Bill told the Home Office that they had been wrong to publish draft legislation without first consulting the public. Now it seems like the Home Office are doing their best to make the same mistake again. Please write to the Home Office now to ask them to drop their surveillance plans. It'll just take a couple of minutes. More information on the Snooper's Charter is available from the Open Rights Group and Liberty. The action was effective. 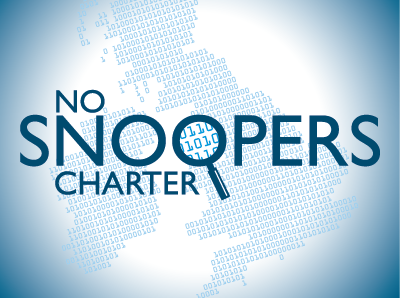 Late on 25 April, Nick Clegg announced he was withdrawing support for the 'Snooper's Charter'.